Ronan Wallace doesn't mince his words when he's asked about his club Multyfarnham and their fortunes in the recent past. "No, we have been always junior the last ten or 15 years. 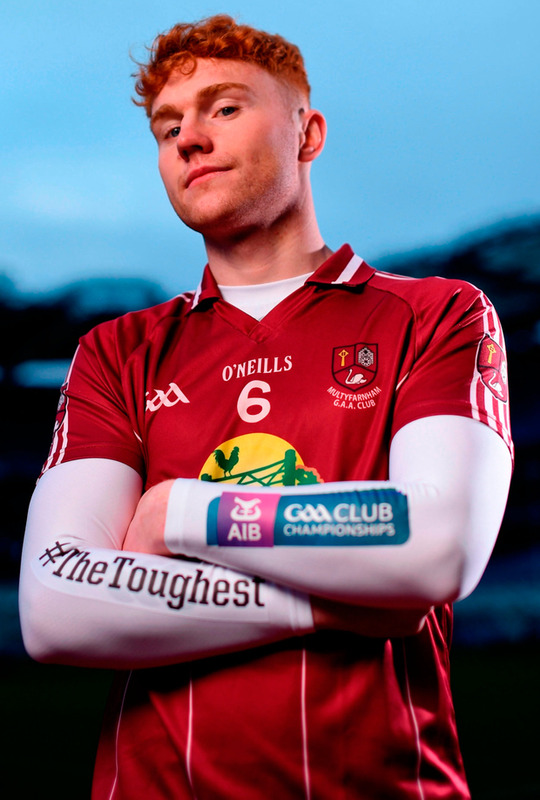 We were probably the worst team in Westmeath." So it's been quite the journey from being at the bottom of the ladder in the Lake County to Croke Park to contest the All-Ireland club JFC against Cork's Knocknagree this afternoon. The no-hopers are now trailblazers. Wallace explains how it all started. "Thanks too our chairman a few years ago he set up a good underage (structure) and that stood to us this year," says Wallace, who along with Anthony McGivney, will team up with Colin Kelly's Westmeath side in the coming weeks. "We had a lot of lads coming through that and had good success underage and that put the backbone of the team in place. We were in two semi-finals and a final in the last four years but lost so we finally got there. But it's been a long stay to win it." Those near misses have all led up to today's showpiece. Even the management team they have in place in Mick Dillon and Louis Ennis came around the place after they helped beat Multyfarnham in the Westmeath junior final two years ago. "We only got them in this year. They are actually the managers who were over the Milltown team that beat us two years ago in the junior final so we brought them in. "They have been brilliant this year and brought that extra 10-15pc that we needed. They'd know everything about a team we are playing, they did so much research and that has stood to us, we know once we step on the pitch we know where their danger men are and their style of play." This afternoon will bring a new set of challenges. The only experience the entire panel has of Croke Park is the few minutes Danny Loughrey was afforded in a Cumann na mBunscol game when he was a child. Other than that, the rest of the panel are heading into the Big House not knowing what to expect. "That's it. No one has ever played here properly with a full pitch. I think once the whistle blows you'll just focus in on the game and you won't notice the surroundings." If it's tight going down the home straight, Multy' might fancy themselves because they have been digging out results in tight games all year. In the All-Ireland semi-final they were four points up and then four points down. They were level at the death and kicked two points in injury-time to win it. They were eight points down at one stage in the Westmeath final too. When the questions have been asked, they have managed to find the answers. "We have been digging out results all year, there is real character in the team, a lot of leaders there that will stand up. We always work we'll never stop and that has stood to us," adds Wallace. "It's hard to imagine when you set out at the start of the year you'll be playing in Croke Park with your club. It's a dream come true. "We were (in HQ) on Saturday to get a feel for the place to make sure lads aren't overawed when they step put on to the pitch so they have the proper mindset and are ready for the game." Before 2017, the club hadn't won a championship on their own patch in 61 ears. Now they are living a dream and no one wants it to end here. "There is great excitement, when we set out it was to win in Westmeath and everything after that was a bonus. "It has brought great excitement, it's only a small little place everyone knows each other, it's buzzing from it."